I hauled this out of my vast storage vaults. It was very dirty. But, oh my, it cleaned up well. And the shade! Oh my! 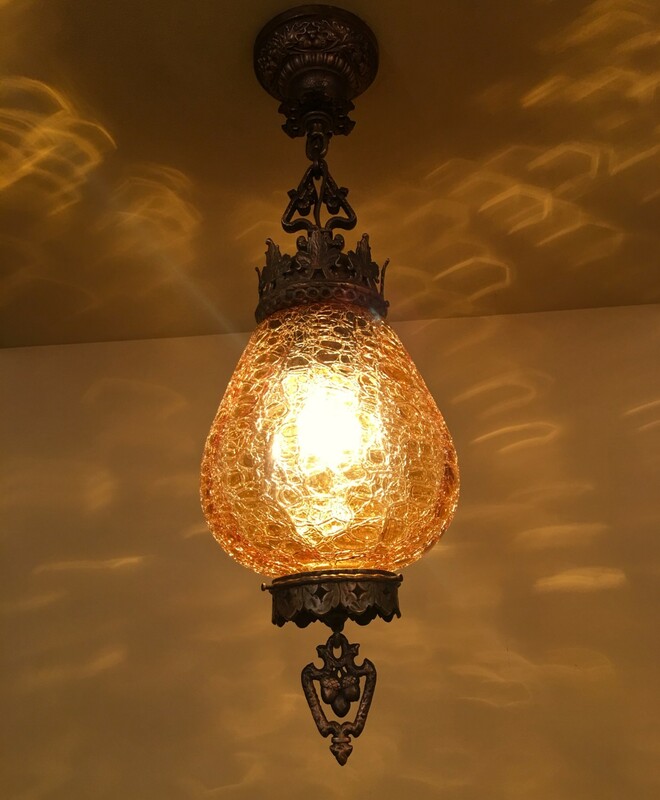 It is amber crackle glass, and this throws off fabulous shadows on the ceiling when lighted. 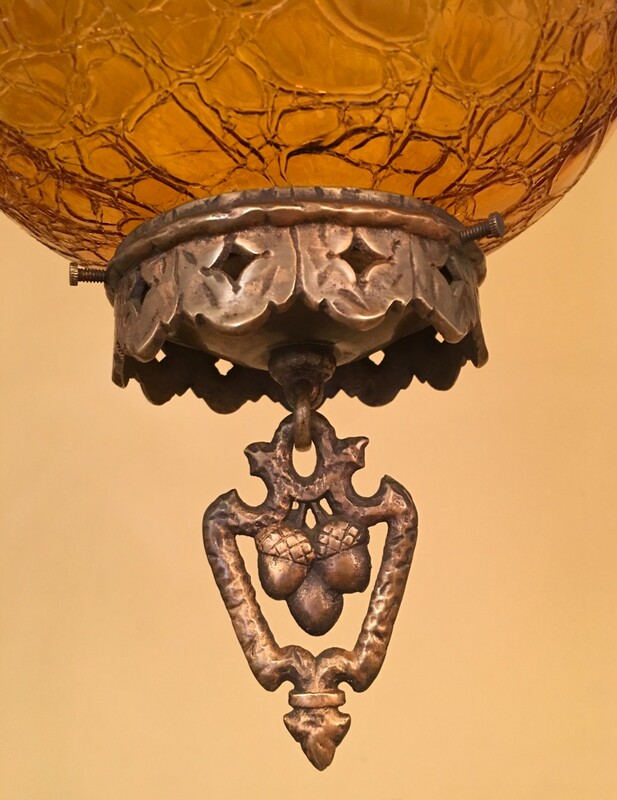 The fixture is of impressively high quality. 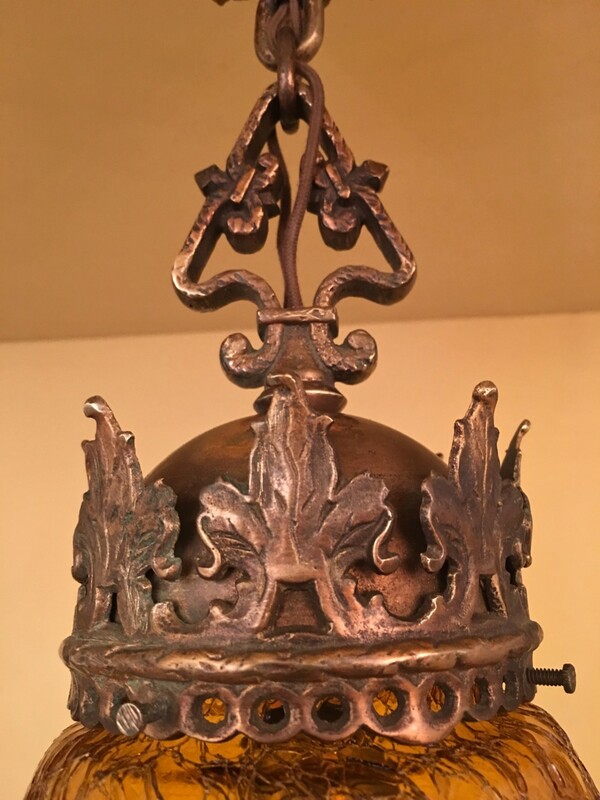 All the metal components are thick, richly molded, and have a coppery hue. Most of the components may BE copper. 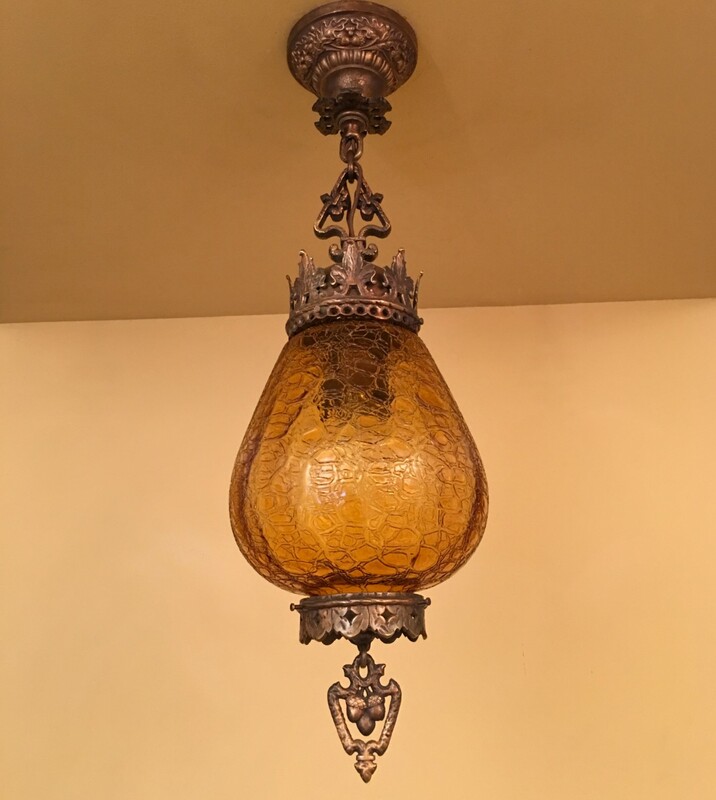 The fixture is scaled for a foyer or hall. It could be used as a porch light as well. It is from the 1920s, and would have been produced through to the 1930s. 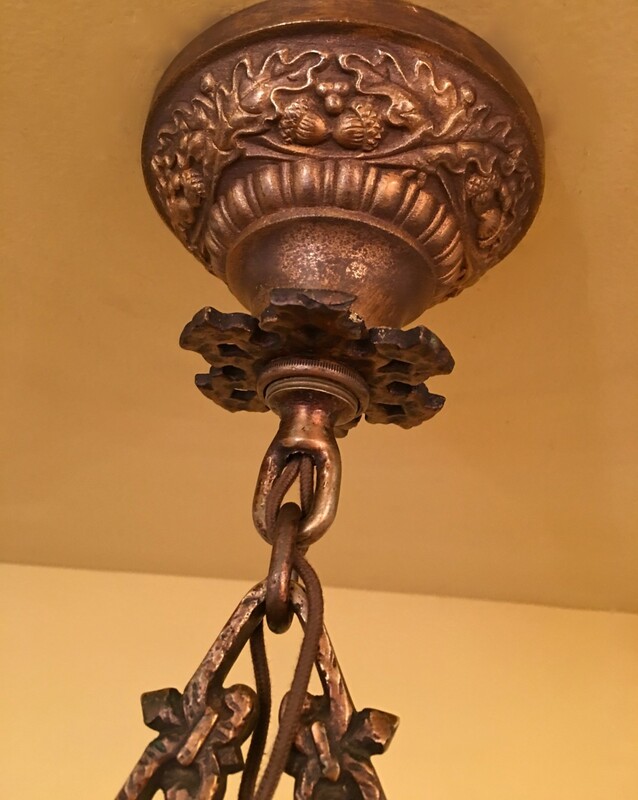 The fixture would look well in an Arts & Crafts-style home, bungalow, or Spanish-Revival. 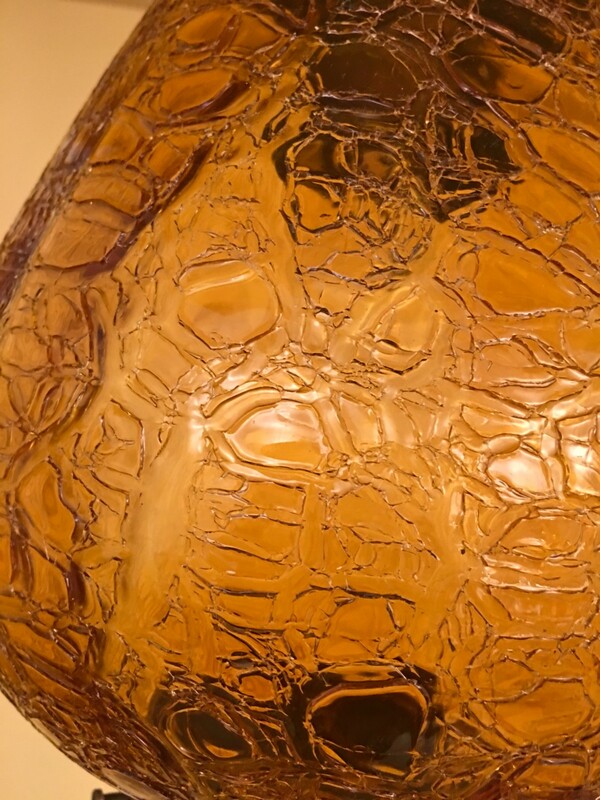 Amber crackle glass was very popular in the 1960s and 70s. As it was in the 1920s! This aunt was a hip old chick, she also had a rain light in her living room. Here. 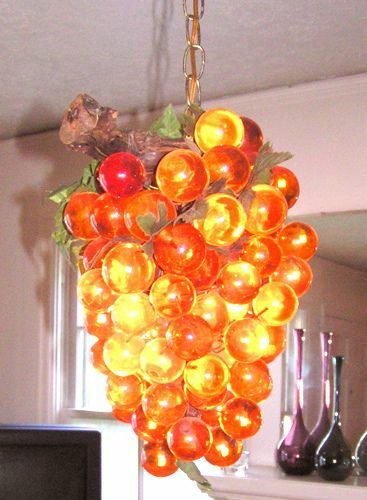 It was voted the most interesting light in our extended family, although my mom’s homemade grape light came in a close second, here.